Our Pick: After researching more than 100 golf balls and personally testing 26, we recommend the Titleist Pro V1 as the best option for the high handicapper golfer. Its 352-dimple urethane elastomer cover will immediately boost distance off the tee box and we also found this model to provide incredible backspin, unlike anything we've seen in other (sometimes more expensive) models. If you're a high handicapper or beginner golfer searching for a new set of golf balls, look no further. Imagine if you could buy one set of golf balls and immediately reduce your handicap score. Wouldn't you feel more confident on the golf course and be able to improve your game much faster? Luckily for you, we've spent the last few weeks going out on the golf course with high handicappers players and have made them test and try out the top 10 best selling golf balls on the market. The result? We've ironed out a few golf ball sets specifically proven to help high handicappers golfers. Our Pick: Very soft feel and low spin. Perfect for beginners and high handicappers. Our Upgrade Pick: Incredible distance, spins less, super soft feel. For Beginners that want greater distance control. Our Budget Pick: Softest Titleist ball, great quality materials for balls at this price. Perfect for high handicappers who want to softness and distance. Innovative design, perfect if you want great value for money. Decent ball speed, yet still soft at impact. Why do high handicappers need special golf balls? ...Then What Should You Do Next? What number is a high handicap in golf? What are the three main types of golf balls? What is the most forgiving golf ball? What is the best golf ball for a 15 - 20 handicapper? What is the best golf ball for the amateur golfer in 2019? What is the best golf ball for mid to high handicappers? What factors keep a player from graduating to the next level? Let's address each of them in detail. Question 1 : are you driving the ball far enough? In order to maximize the distance required, you must choose a ball that you can compress with whatever your swing speed is. Compressing a golf ball creates a rebound effect that makes it leap off the clubface. High compression ratings require higher swing speeds to maximize their effect. 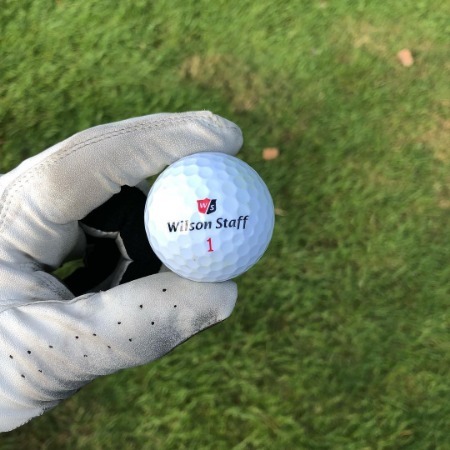 Ladies and seniors should definitely choose a ball with a lower compression, such as a Wilson Duo 50 or a Callaway Supersoft. Someone with a higher swing speed who wants to hit it farther should go to a ball with a higher compression such as the Pinnacle Rush or the Callaway HX Hot Black Golf Balls White. Question 2 : are you driving the ball straight enough? If you have a problem keeping the ball in play, I would suggest that you use a golf ball that is low-spin and not very soft. This reduces the side spin imparted on the ball. This issue is not limited to just high handicappers. There are two balls that I would recommend using if direction with your driver is an issue. One is the Bridgestone E6 and the other is the TaylorMade XD. One would think that the same distance ball that you use to maximize driver distance would also be ideal for your irons. Sorry, but this is not necessarily true. Most so-called distance balls are somewhat jumpy. What this means is that they have a tendency to be inconsistent distance wise; a purely struck ball will fly extremely far, but a mis-hit will be severely punished. If consistent iron distance is at the top of your list, you would be better served with softer, performance type ball such as a TaylorMade Project A, or a Srixon Q-Star. Both of the balls listed previously to help keep your driver straight (Bridgestone E6 and TaylorMade XD) are also quite good when it comes to hitting your irons straight. If there is one area that causes high handicappers the most grief and keeps them from bettering their scores, it is chipping and putting. If you are consistently unable to get up and down from 40 yards and in, or are 3-putting more often than not, you are costing yourself anywhere from 5-15 strokes per round! Now I don’t want to suggest that something as simple as using the right ball will cure everything, because it definitely won’t. But, using the right ball will give you better feel when it comes to chipping and putting. Feel turns into confidence and confidence turns into better play. So if your driver is relatively good, and you have a decent command of your irons, then it's time to really concentrate on your short game. One thing I should mention is to be careful that your “soft” ball does not become damaged. The problem with soft balls is that they are not particularly durable. Their softer covers can be easily scuffed by slightly thin wedge shots, or striking a tree or cart path. Even a purely struck wedge shot can cause the ball to compress against sharp wedge grooves and scuff. These gouges in the cover can adversely affect their performance. You should be ready to replace your ball more often when using soft, high-spin balls. That is why most pros will not finish a round with the same ball they start with even if they haven't lost a ball. Many professionals switch to a new ball every few holes to ensure top-notch performance. More durable, less expensive balls geared towards high handicappers shouldn't need to be replaced as often. I have played the game for a long time and I can attest to the importance of using a ball that is best suited for your game. As you read on, you will identify where you need to improve to help you get to that next level. Next time you visit a golf shop, take a look at the claims made by golf ball manufacturers on their packaging. Most, if not all, claim to have a ball that is “Long, Straight and Soft”. If that were true, why do we need so many choices within their product range? The truth of the matter is that you cannot have the best of all things in one ball. In reality, today, golf ball manufacturers concentrate on two markets. The first, and most obvious, is the high-end market, which is geared towards providing touring pros with balls that perform best with their incredibly high swing speeds and deft touch around the greens. These balls should really only be played by tour pros and fast-swinging scratch golfers. Those not in that elite class are likely overpaying for expensive balls that aren't suited to their games. However, the group that provides the highest sales volume is high handicap golfers. Statistics support this in that 45% of golfers worldwide have a handicap over 28. Almost half of all golfers in the world are considered high handicap players! Let’s take a look then at the best ​golf balls for high handicappers. In order to help you to choose a golf ball that is best for you, we need to do a bit of self evaluation to find your weakness. This could be for example realizing that you can't help but top the ball. Which of the following areas is most important to you when you look at where your golf game is now, and where you want it to go? Based on your answer to this question, we have broken down in categories the best golf balls specifically for you depending on what you need to improve. A handicap in golf is a numerical measure of a golfer’s skill level. The lower the handicap, the better the golfer is at the great game. A handicap allows two golfers to compete in a round of golf against each other on an even level despite the difference in their typical scoring average. Determining a handicap, via the USGA rules, consists of using a formula that takes the average score of your best ten rounds from a pool of your last 20 rounds played. Once a handicap has been established, the two golfers can determine their net score after 18 holes by taking the number of their actual strokes during the round and subtracting their USGA handicap for a net total. Then the two golfers compare the resulting score to determine who won the head-to-head matchup. A scratch golfer is someone who has a zero handicap. Their total strokes after a round are their net score. A bogey golfer is a player who has a handicap that hovers around 18. The typical feeling among golfing experts is that any golfer who has a handicap that reaches 18 or over is a high handicapper. Made with the budget-focused amateur in mind, two-piece golf balls are produced by manufacturers with thicker covers and solid cores. Tailored for golfers with slower swing speeds, the two-piece ball is durable and helps assist with a player’s problem areas. The large one-piece core of the two-piece ball boosts the distance of the ball off the tee box as well as tampers down dreaded side spin. The thicker cover does not help with backspin as much as keep the golf ball fresh on the course by minimizing nicks and gouges. Ideal for beginners, the two-piece golf ball is a blunt instrument for amateurs who are looking to add distance to help reduce the length of their second shots. High handicappers do not need the sophisticated elements of a multi-layered ball because they rarely can generate the RPM needed for tour-level backspin or shot shaping. Three-piece golf balls have an additional layer underneath the surface of the cover. This middle layer is typically there to aid in boosting backspin as well assist the golfer’s ability to feel the shot they are making. More sophisticated than a two-piece ball, the three-piece is superior on the greens as well as with entry shots from the fairway. 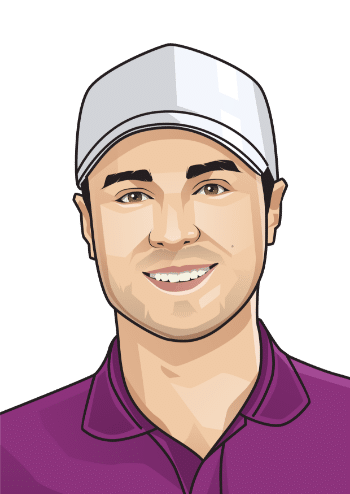 Perhaps they don’t spin as well as the multi-layered ball you see every weekend on the PGA Tour, but three-piece balls are a vast improvement for the amateur looking to add moderate shop shaping abilities to their game. The golf balls that professional golfers use are multiple-layered golf balls that are the result of millions of dollars in research and development. They typically have woven layers that surround a core of high-quality material. Built for golfers with high swing speed, the multi-layer ball brings out the best in the low handicapper’s game with a super soft cover that generates remarkable spin as well as in interior that maximizes distance. Multi-piece golf balls have the highest level of feel and response allowing the golfer to create shots from anywhere on the course with deft skill. 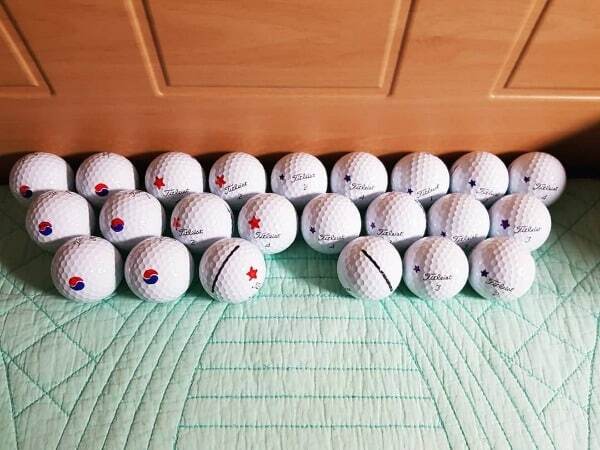 These golf balls can improve a high-handicappers game in a variety of ways, but most of the subtle improvements created by multi-layered balls can be lost on the amateur. Construction: there are one-piece models to the newest five-piece ones. A one-piece ball is made as a solid sphere, and generally generates high spin, less travel distance, and less durability. For two-piece to five-piece balls, generally the more layers you have, the more spin you’ll get, and the less distance it will travel. Most beginners prefer to have more distance due to their lack of swing speed (and accuracy), and so the preferred construction here is two-piece. Compression: generally, inexperienced players will prefer less compressed balls due to the lack of control over their swing. The less compression allows better performance during mis or weak hits. Spin: the more spin you have, the better playability. Yet, beginners will have issues controlling a high-spin ball especially if they have slice or draw tendencies. A low-spinning ball will allow the ball to go straighter even during mishits. A 2-piece ball that is, as the name suggests, super soft in compression and feel. Produces very straight flight with excellent distance and low spin, while also being quite affordable. The tri-ionomer cover also provides a very soft feel, well-suited to give the soft response desired by beginners and high-handicappers. The 15 to 20 handicappers are the ones we often refer as “bogey golfers”, meaning, the golfer will on average, score a bogey per hole, or 1-over par per hole. According to USGA’s manual, these players can hit tee shots for 200 yards on average. The women equivalent is those with a handicap of around 21-27, and can hit tee shots for 150 yards. So, generally distance is no longer an issue for these players, but instead will generally need help in accuracy, feel and shot-shaping playability. Construction: 2-piece or 3-piece. Remember that the more layer you have, the more spin and less distance. If you are still struggling with straightness and distance, pick a 2-piece ball. If you want a little more control and flexibility without sacrificing too much forgiveness, pick a 3-piece ball. Spin: Medium-low spin to assist with distance while helping with shot-shaping playability and control. Based on this assessment, our picks for this category are:. 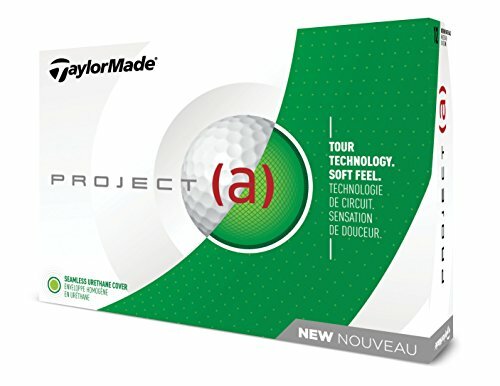 TaylorMade Project (a) offers a 3-piece construction with 322 dimples and 70 compression. Also, it features the Tour-standard urethane cover, which is a rarity for a golf ball in this price range. The key characteristics for the project (a) is soft feel while producing less drag and more ball speed for added distance, while also offering a decent amount of spin for control. Make sure to purchase the latest 2019 edition with a softer compression and firmer outer layer which translates to even more speed. 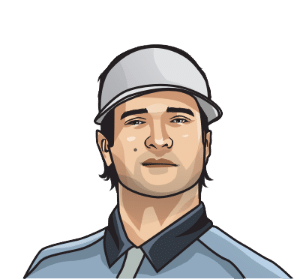 The term “amateur golfer” is actually pretty broad, covering all the different types and levels of players from complete beginners to even expert golfers, since there are scratch golfers that are technically “amateurs”. So, answering this question can be fairly difficult since not only there can be various different levels of abilities, there can also be vast differences in playstyles. Extremely low spin-rate, 2-piece construction, and fastest cover technology. In short, Titleist Velocity is designed for one purpose that is achieving more distance. Velocity offers a high flight of the tee, so it’s very easy to lift the ball to achieve the desired distance. Pair that with the fact that due to the very low spin, the flight is perfectly straight. If you want distance, there’s simply no better choice than the Titleist Velocity. Although the Titleist Pro V1X is a Tour-grade ball designed for professionals, it will greatly benefit all kinds of golfers including striving amateurs. The Pro V1X offers an impressive spin rate for more greenside control, and flies really high with even more spin than the regular Pro V1. The new dimple pattern on the latest 2019 Pro V1x also ensures very straight/consistent flight. An excellent ball that will benefit any players. We generally define “mid-handicappers” as golfers between 11 to 20 in handicap, while we consider those above with above 18 handicap as “Mid-handicappers”. So, we can define mid-high handicappers with those around 13 to 16 handicap. Generally, players with this handicap level can produce satisfying distance from their tee shots (above 200 yards for men and above 150 yards for women), and have better control and shot playability over beginners and the average recreational players. However, their control over high spin is generally not there yet. Construction: mid-high handicappers can benefit from multi-layered balls from 2 to 4-piece constructions. Dimple: the usual, the more dimples and the better technology, the better. Spin: medium to high, depending on your current accuracy and control. If you are already confident with controlling high-spin, consider getting Tour-grade balls with more spin. 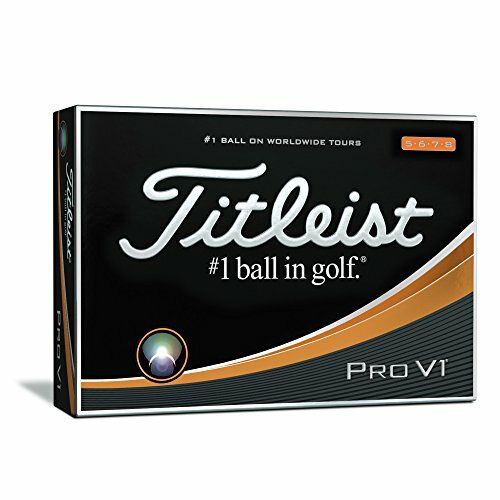 The Titleist Pro V1 is simply one of the best choices available: great distance, soft feel, amazing spin and control. Also, the newest iteration of the Pro V1 features an updated dimple pattern, allowing a very consistent flight. Being a Tour-grade ball, obviously, there’s the urethane cover. The catch? The Pro V1 is quite expensive. Also, if you want even more spin and firmer feel, consider the Titleist Pro V1x instead. 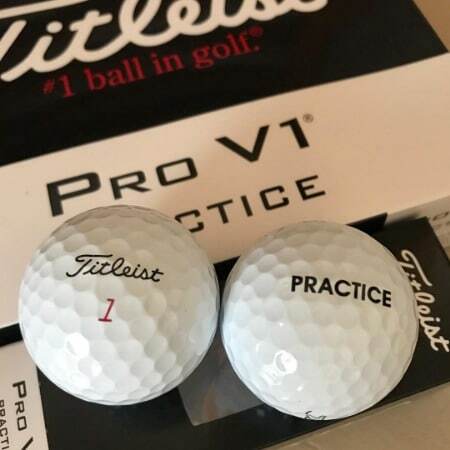 For the high handicapper looking to improve their scores with minimal effort, deciding to play with the Titleist Pro V1 is the best choice a golfer can make. As a result of the high-quality construction of the Pro V1 comes incredible performance in every aspect of the golfing game. High handicappers will notice that their drives are straighter and longer, their entry shots stop with precision and their putts roll quicker and without the bounce that kills accuracy. In breaking down why the Pro V1 is so amazing, let’s play an imaginary hole starting at the tee box. The Pro V1 has been constructed to get the most from your drives with forgiveness that reduces side spin and keeps the ball on target. A redesigned next generation 2.0 ZG Process Core keeps the backspin in check for improved drag and optimum ball flight. What the Process Core of the Pro V1 does for the high handicapper is that it helps reduce the damage that most amateurs make with poor swings. By damage, we are referring to the sidespin that produces those score-killing slices that put the ball in trouble. From the fairway, the Pro V1’s core is coupled with an incredibly soft cover that is made from an ultra-thin layer of urethane elastomer. The enhanced technology Titleist puts into revamping the Pro V1 each year gives the golf ball a consistent ball flight with unmatched control on entry into the green. There is a reason that the Pro V1 is the most used ball on the PGA Tour. Watching the ball roll back to the hole on iron shots dozens of times every Sunday is proof enough that the Pro V1 is a ball that generates incredible spin. The cover of the Pro V1 is imprinted with a unique 352-dimple design. 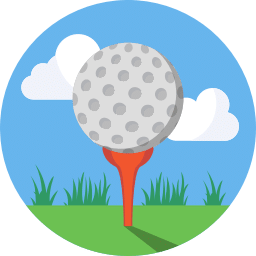 The dimples give the golf ball a chance to fight the impact that the surrounding air has on the golf ball as it travels from the fairway to the green. With the soft urethane cover, the dimples impart a barrier shield to the golf ball that not only cuts through the wind but also generates exceptional backspin off irons and wedges. When on the green, no other ball provides the feel and roll of the Pro V1. When most high handicappers take a putt, they are using substandard balls that place their putts at significant risk for slipping offline due to the inferior materials used to make the golf ball. But the Pro V1’s urethane cover is a dream to use on the green because it reduces the skidding that occurs with most two-piece golf balls. ​Instead, the Pro V1 gets rolling forward more quickly off the putter’s face than many of the tour-quality balls on the market today. By doing that the golf ball rolls true and stays online for more birdies and lower scores. For some golfers, the Pro V1 is too soft, has too much backspin and flies far too high for their taste. While that opinion has some validity, the benefits of playing with the Pro V1 outweigh or dispel many of those accusations. 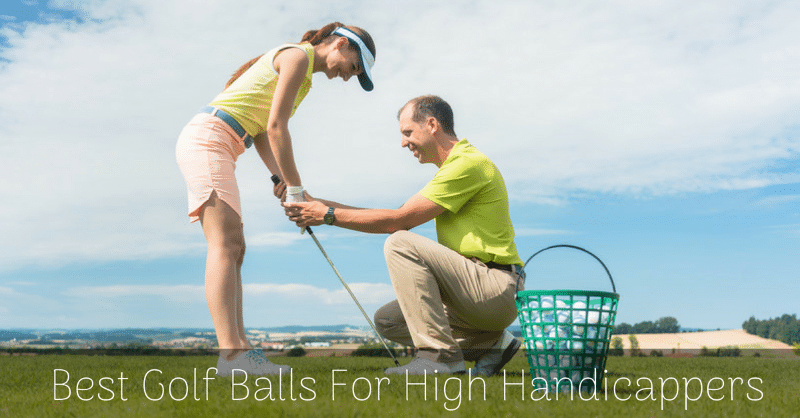 It is just a terrific ball for golfers of any skill level, especially the high handicapper. 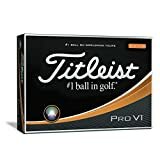 It may be a pricier, but for the amateur looking to make significant strides in their scores quickly, they will not find a better golf ball than the Titleist Pro V1. 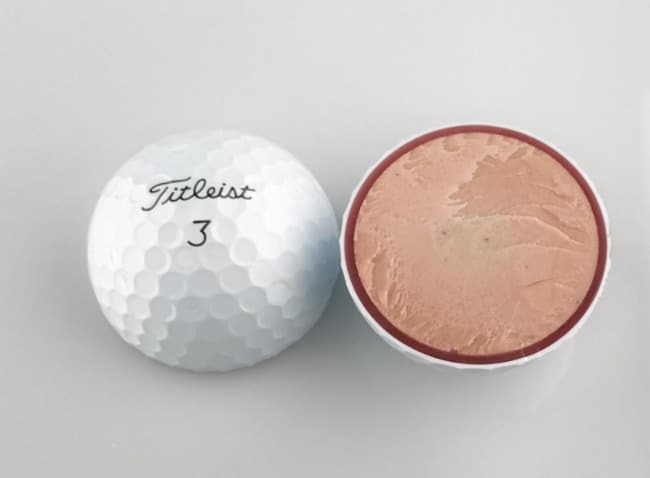 For the golfer who feels that the Titleist Pro V1 is too soft, flies too high and isn’t strong enough for their game, the company has answered those complaints with the new AVX golf ball. 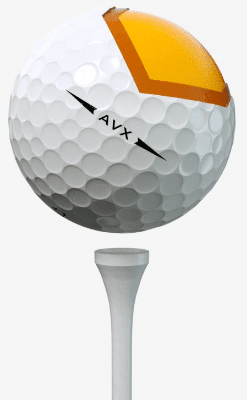 ​The AVX is comparable to the Pro V1 in various areas but has several subtle differences that make the AVX appealing to the high handicapper. The three-piece golf ball contains a soft urethane cover, a second casing layer under the cover that flexes for maximum transfer of energy to the high speed and a low compression core. All of those listed components to the AVX can make a high handicapper’s head swim with confusion. But for those looking for a golf ball that will lower their score, let’s break down why these AVX specifications will lead to improvement in all facets of the game. First, let’s look at the core of the AVX. This low compression core has been designed to help with cutting down shot height and boosting the distance of the golf ball once it leaves the driver on the tee box. If there is a chief complaint about the Pro V1 for amateur golfers, it is that the ball flies far too high making it susceptible to wind and other weather elements. The AVX is the antidote to those complaints. The core is crafted to keep the ball low with a piercing flight path that cuts through the wind for the longest distance possible from a three-piece golf ball. The low compression rating of the AVX core creates maximum flex at impact for a trampoline-like effect off the club face. Once the ball is in the air, the multi-component thermoset cast urethane cover takes over. Well on the AVX, the cover is made from a soft urethane material that enhances the feel of the golf ball off the club face. ​Once the AVX leaves the club, the tetrahedral catenary dimple design imprinted in the urethane takes over to reduce drag and keep the ball low for your longest drive ever. The urethane cover of the AVX also helps around the green with enhanced shot-stopping ability. Unlike two-piece balls, the AVX has improved the backspin of the ball when leaving the face of your favorite wedge. As a result, the ball settles nicely on the green and in the intended area of the shot. Let’s move onto the casing layer that covers the core but rests under the cover. The casing layer on the AVX has been made by Titleist to help with the flex that occurs at impact. This extra layer boosts spin as well as assists with achieving long distance. ​Most three-piece balls utilize this additional layer in a variety of ways, but few companies have taken advantage of the technology as Titleist with the AVX. 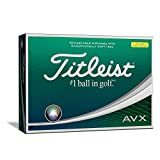 Perhaps the ATX isn’t the complete ball like its older brother, the Pro V1, but fans of the three-piece golf ball rave about its low ball flight as well as its reduced spin off the tee. ​Regardless, for the high handicapper who’s looking to take the next step from the two-piece ball, the AVX is a terrific option that will produce length in ways you’ve never seen. 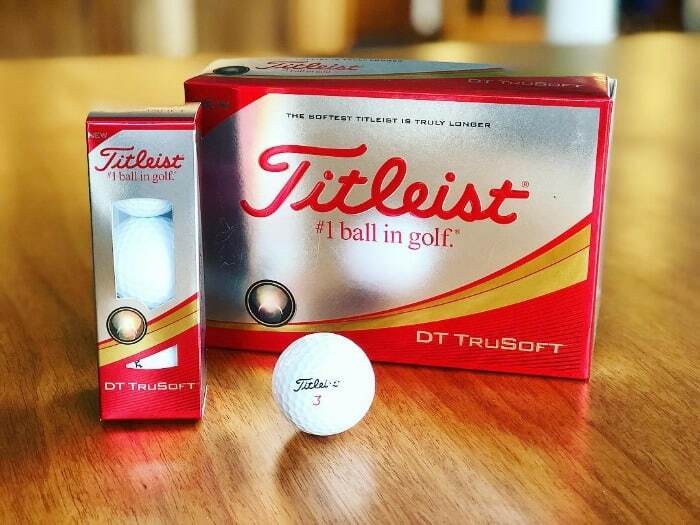 For golfers in the market for a durable and dependable two-piece golf ball then Titleist presents the DT TruSoft. With a newly redesigned core, the DT TruSoft comes with slight technological enhancements that make this golf ball Titleist’s best version of the series to date. 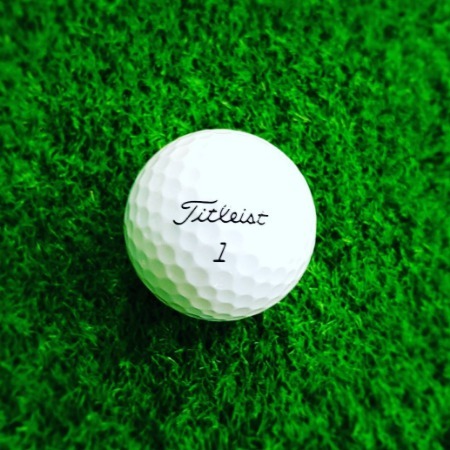 It all starts with the center of the TruSoft golf ball. With the ball being a two-piece that means that the cover and core are the only components of the golf ball. ​For the TruSoft that means what is on the inside dictates what happens on the outside. 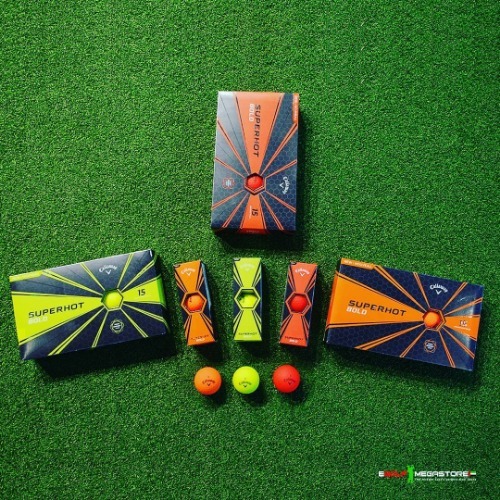 As a result, the company has revamped and redesigned the TruCore at the heart of the golf ball. The TruCore has been crafted to be low compression. What that means is that the center of the DT TruSoft is built primarily for low swing speeds that need help with their distance. This fits firmly in the camp of the high handicapper. ​Low swing speeds typically equate to higher scores because the ball does not travel across the course as far as golfers who hit the ball with dramatically more swing speed. The center of the TruSoft and its low compression core work much like when a person jumps on a trampoline. 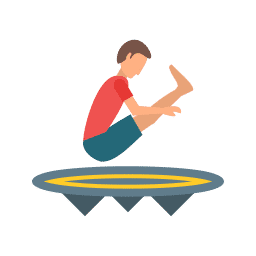 As the jumper goes down into the spring-loaded mat, the springs expand and then boost the jumper upward as the energy transfers from the springs to the jumper’s body when the springs contract. The same principles apply to when a golf club hits the DT TruSoft. The softness of the ball compresses against the club face and then releases to send the ball forward. For the TruSoft that means maximum distance based upon swing speed. ​That compression improves driving distances for most high handicappers but also comes with a price as well. For beginning golfers looking for more complexity from their golf ball like with the Pro V1, then the DT TruSoft will disappoint. This golf ball is a sledgehammer off the tee with less feel than most multi-layered balls, but for the price, it is hard to expect more from this level of golf ball. But with the name of the golf ball promising softness around the greens, let’s look at how the DT TruSoft does generate spin. First, we go back to the core and the low compression. ​The spring off the clubface does create backspin due to the friction between the dimpled cover of the TruSoft and the grooves of the club face. In addition to the TruCore, what helps give the DT TruSoft exceptional spin for a two-piece ball is the TruCover technology. With proprietary materials used, the cover of the TruSoft helps the ball stick to the green from mid-range distances from the fairway. Around the green, the TruSoft struggles a bit with stopping like a multi-layered ball, but it still lands softer than most two-piece balls. Where the TruSoft turns heads is with the affordable price. For a high-quality two-piece golf ball, the TruSoft is priced beyond reasonable for a box of a dozen. 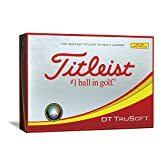 If you are looking for a more subtle and dynamic golf ball, you might be disappointed, but if you are a high handicapper looking to maximize your distance and save some change for those green fees, then the Titleist DT TruSoft is a great golf ball to take for a test drive. Golf balls are manufactured in a variety of ways. Most golf balls are created with multiple layers surrounding a core. Two-piece balls only have the cover and a composite core. These golf balls are usually priced affordably and marketed to amateurs looking for added distance. Three-piece and multiple-layered golf balls add a new dimension in distance and increased spin. They are made with higher quality materials to reduce drag when the ball is cutting through wind as well as softer urethane covers to increase the friction between the grooves on the club for enhanced backspin. The SuperHot from golf ball from Callaway pushes the boundaries of what a three-piece ball can be. Retailing for the price of a two-piece ball, the SuperHot delivers incredible feel and softness around the greens but is a distance-seeking monster off the tee box. What sets the SuperHot apart from other three-piece balls is the large, high-energy core. Callaway has coupled the SuperHot’s low compression core with a newly designed hexagonal dimpled cover to boost distance for the high handicapper. Perfect for swings that top out at 80-85 mph, the SuperHot responds positively when contact is made with the driver’s sweet spot. Looking beyond the core, another fantastic feature of the SuperHot is the previously mentioned hexagonal dimple system that lays over the soft cover of the golf ball. The unique design of the SuperHot’s cover minimizes the drag on the golf ball as it travels through the air. A reduction of drag means less sidespin and longer ball flight. Golfers who love the SuperHot highlight its consistency due to the technological advancements created by Callaway. Although the straighter and longer drives shine among the features of the SuperHot, the ball works wonders from the fairway as well. The soft cover allows for easy shot-stopping control on the greens, so professionals and amateurs alike can take advantage of the SuperHot and shoot for the cup on shorter pitch and chip shots. The three-piece construction of the SuperHot also shows its merits around the greens. Unlike a cheaper two-piece ball, the multi-layered SuperHot has an additional layer underneath the cover that aids with spin for deft touch when facing tough shots from the sand or through thicker rough. On the green, the multi-layered ball does improve feel on mid-to-long range putts. 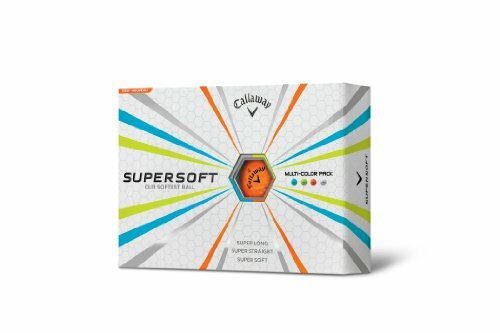 That said, golfers looking to cut a corner with their wallet by expecting the SuperHot will play similarly to the exceptional Chrome Soft golf ball that Callaway produces might be disappointed. Rounding out the features on the SuperHot is an alignment guide that aids with putts from any distance. One interesting wrinkle that Callaway has introduced recently with the SuperHot is a by offering a variety of colors other than white for the amateur to purchase. The SuperHot also comes in the colors of matte yellow, red, and bright orange. Many believe that golfers can locate the golf ball better in thicker vegetation with the loud skin color of the alternate SuperHot models. 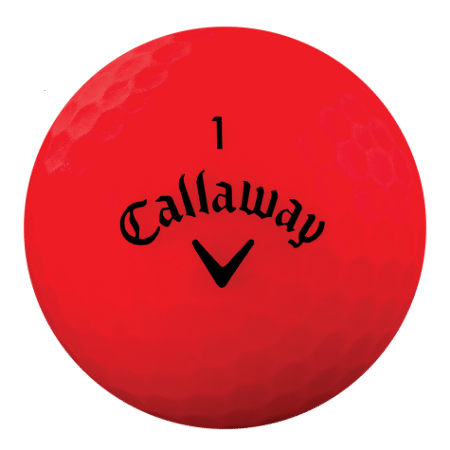 The SuperHot golf ball isn’t as sophisticated as the elite tier multi-layered golf balls such as the Callaway Chrome Soft and the Titleist ProV1, but it does deliver a terrific experience from tee to green for an affordable price. For the high handicapper, the SuperHot is a great way to improve their game with little effort. Whatever it is that influences your decision when it comes to getting the best golf balls for high handicappers, try to be well informed. More important than the one or two strokes it could save you per round, is the potential game improvement it could help you with. Once you have found a golf ball that you really like, stockpile them!! Buy 10 or 12 dozen and hide them away somewhere. It seems that when you find a ball that you like, they get discontinued...Wilson Staff Titanium, Strata MD, Nike RZN Black just to mention a few. 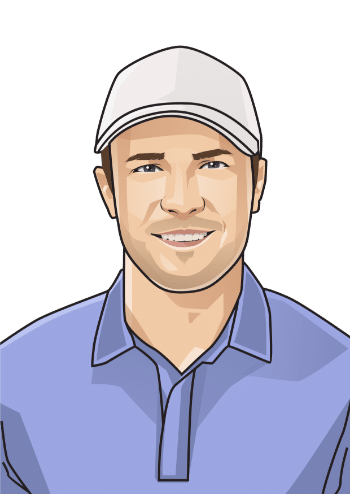 I hope that this article provided a different insight that is of some value to you and will help you find the best golf balls for high handicappers. If so, please share this with your friends and supply a comment for us.